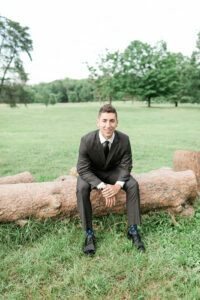 As the National Arboretum’s Event Directors, I know MTG’s opinion may be subjective, but I think there is no better outdoor location for wedding pictures in DC than the National Arboretum. 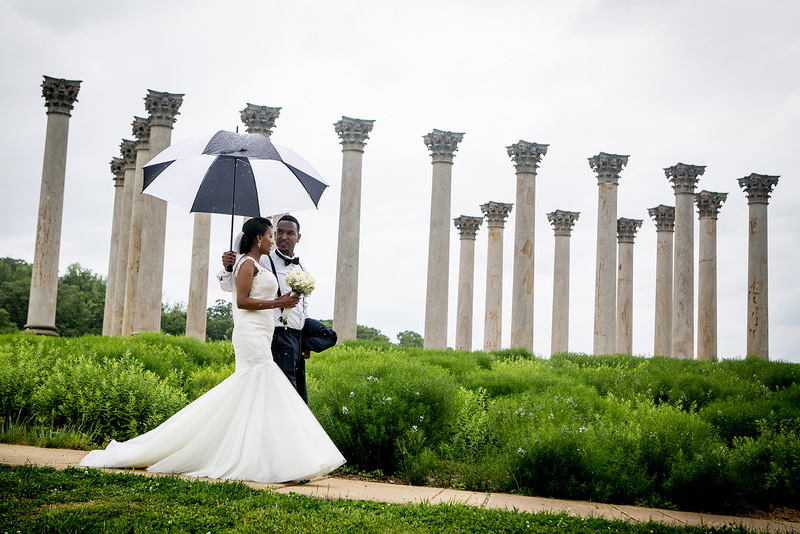 Couples get not just the history and grandeur of DC with the iconic Capitol Columns (the money shot! ), but also gorgeous nature shoots that can be so difficult to find in the city! 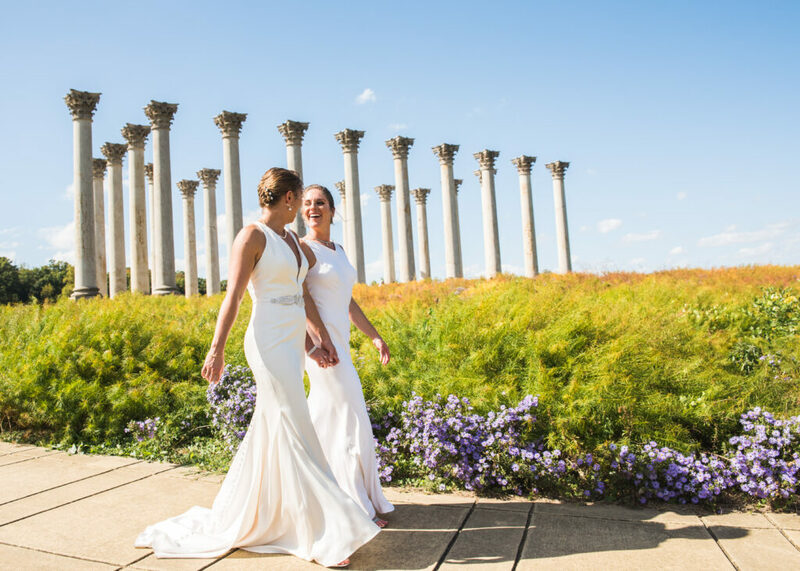 Here is an insider’s guide to all the “can’t miss” photo opportunities for National Arboretum Weddings! These shoots are gorgeous, but here’s a tip to get the iconic shots featured below. They are all taken from the side of the columns that leads to the roadway. There are two semicircular walks that take visitors from the street to the back of the columns display. These shoots were taken halfway down the south walkway. Of course when photographing at the National Arboretum, you need to get the “Columns in the Distance” perspective from the National Herb garden. As you can see, it is truly stunning!. 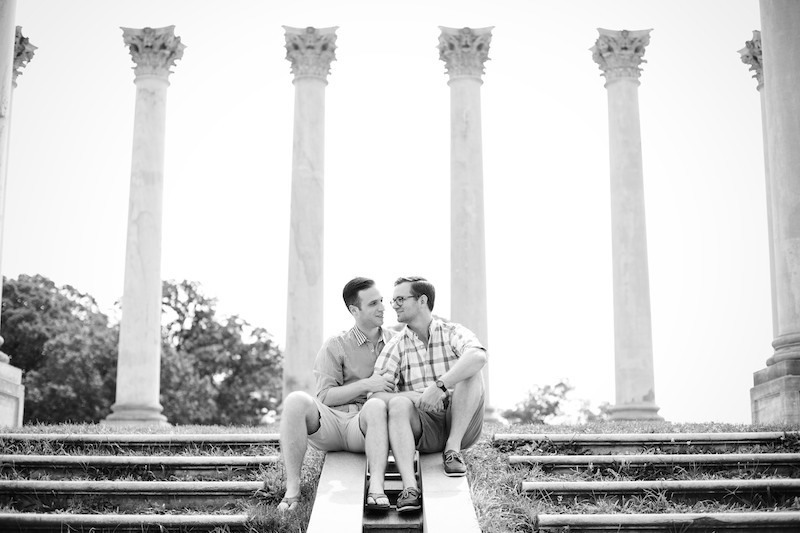 But the garden itself is a treasure trove of nooks and crannies for sweet couple’s portraits at National Arboretum weddings. The best locations depend upon the time of year; for instance, the historic Rose Garden is a “must shoot” location in May and June. Check out the https://www.usna.usda.gov/discover/gardens-collections/national-herb-garden to see the four sections in the Herb Garden. 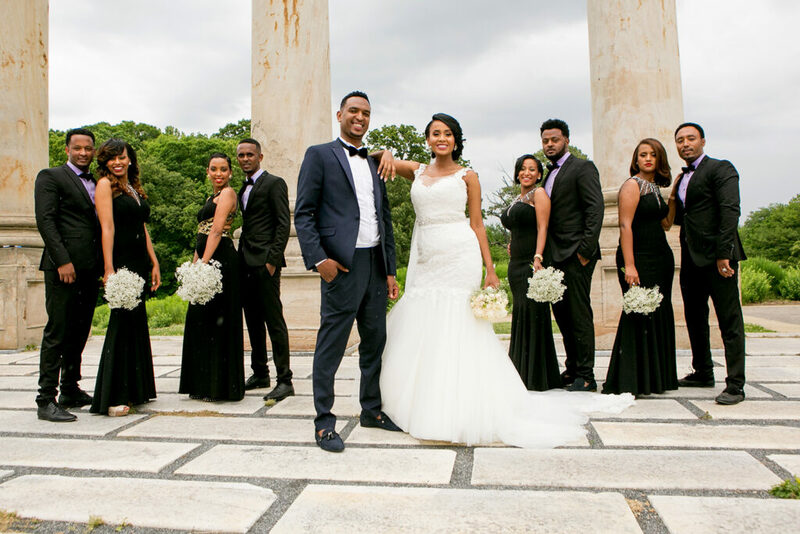 The street at the south end of the Grove of State trees is the perfect location for this stunners.The Grove of State Trees, located in the western corner of the National Arboretum, is an easy and convenient location to get unconventional wedding pictures. Follow signs to M St parking lot. This collection provided photo locations for both the Columns and Nature. The Grove itself has great nature shoots like the ones below. In the summer, this is a great location to capture beautiful dogwood trees. 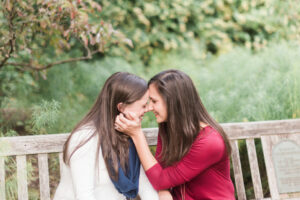 Calling all April and May couples! Visitors flock to the National Arboretum’s Azalea Collections every spring to witness one of Washington’s premier spring attractions: thousands of azaleas covering the flanks of Mount Hamilton in a blaze of color. 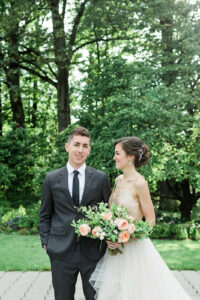 Perfect for the most colorful wedding shoots!